Drawing from 30 years of teaching and professional development experience, this book offers a roadmap for using children's literature to provide authentic learning. 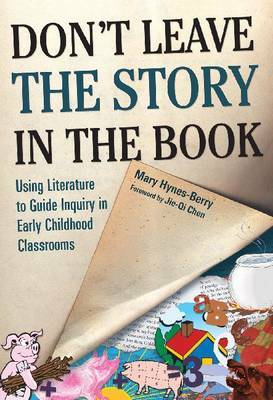 Featuring a ''storyteller's voice,'' each chapter includes a case study about how a particular fiction or nonfiction work can be used in an early childhood classroom; a series of open-ended questions to help readers construct their own inquiry units; and a bibliography of children's literature. This book provides a unique synthesis of ideas based on constructivist approaches to learning, including the importance of positive dispositions and learning communities, the nature of higher-order thinking, and the relationship between methods such as guided inquiry in the sciences and balanced literacy. Hynes-Berry offers practical ideas for working with teachers and students in professional learning communities in preservice and in-service education and with families, children and teachers in innovative community literacy projects." "When children are given ample opportunity to use language, they have a greater potential to increase vocabulary and syntactic skills. Hynes-Berry's book offers numerous suggestions on how to give students such opportunity. Her approach is practical, simple, and is based on solid theoretical research on how young students learn."